There is a new twist to the British economist John Keanes' famous quote that 'it is your problem if you owe a hundred bucks to a bank, but it is the bank's problem if you owe a million' -- the problem is of the central banker if unpaid loans run into billions. 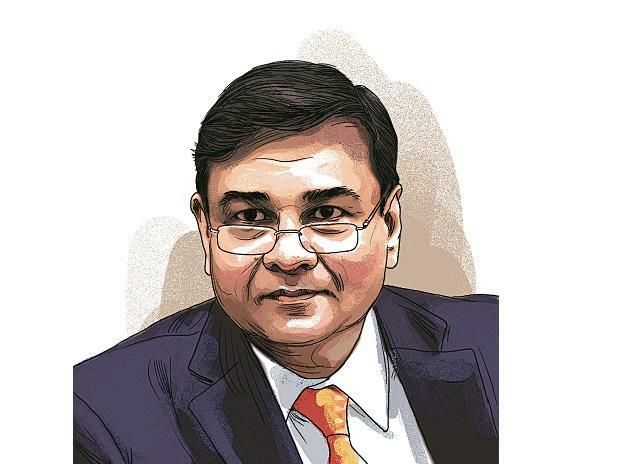 And to clear this 'landmine', which has been blamed on the previous UPA regime by Prime Minister Narendra Modi, RBI Governor Urjit Patel decided to follow "wisdom of an owl" as he went on to conduct the "deep surgery" initiated by his predecessor Raghuram Rajan to clamp down on loan defaulters, while seeking to safeguard the Indian banking system from any collateral damage. As Patel completes two years in office as the RBI Governor, the jury is still out whether he has been a 'hawk' -- as prescribed by many economists to contain inflationary pressures and to tame the monster of loan defaults -- or a 'dove' as others, including those in the government, wanted him to always cut rates to boost growth. In the meantime, Patel has been steadfast in maintaining the central bank's independence and in handling the bad loan cases and has lately also earned the praise of the Opposition, with the RBI recently disclosing final figures for all junked currency deposited after the government's demonetisation decision, within weeks of him assuming charge in 2016, for which he had also got a good share of flak, bankers and industrialists said while recalling their meetings with him. Despite often being called reticent, Dr Patel -- as he has been often referred to -- has also been speaking up his mind through his lectures and articles, at his regular post-policy press meets and also before parliamentary panels, while officials at the RBI say his main focus has always been on implementing things. Within days of the demonetisation move also, when he was being criticised by one and all for not speaking up, Patel had told PTI in an interview in November 2016 that the central bank was taking all necessary actions to "ease the genuine pain of citizens" with a clear intent to normalise the things as early as possible. As per the RBI itself, it put in place an elaborate exercise for withdrawing junked notes and introducing new ones and the process involved people "working in two shifts under strenuous conditions, maintaining detailed records and planning effectively without compromising on other functions of currency management". As the 'remonetisation' exercise continued, Patel was seen living up to his own words about what it is required to be at the RBI to remain vigilant and to be wise like an owl -- "An owl is traditionally a symbol of wisdom. So, we are neither doves nor hawks, but owls and we are vigilant when others are resting". With one more year to go in his current three-year tenure that began on September 4, 2016, Patel is being seen by the RBI watchers as being firmly in the saddle on regulations of banks, the monetary policy framework and the all-important handling of the NPA situation, among various other tasks he has. On so-called frictions between the RBI and the government, a senior banker said this relation has always been so and it was summed up perfectly by former RBI Governor D Subbarao when he narrated an incident involving his predecessor Y V Reddy who kept saying "No, no, no, no, no, yes, no, no, no" while talking to someone over phone. Later, Reddy disclosed he was talking to the then finance minister and his only 'yes' was in reply to a question on whether he was able to hear him. And in case of Patel, the RBI has also been working alongside the government on various fronts including the ambitious goals like doubling farmers' income, boost to digital payments and providing easier funding to MSMEs. Within a month of Patel taking over the top job at the RBI, the Monetary Policy Committee (MPC) framework was introduced to decide on rates and has been functioning decisively since then on its primary objective of inflation targeting, experts say. Another important direction from the RBI early in Patel's tenure has been to credit information companies to provide access to a free full credit report to individuals. Patel's tenure has also seen the RBI working on new guidelines for tackling cyber security concerns, as also pre-emptive cautionary warnings and directions on evolving challenges posed by cryptocurrencies. The RBI has also set up a new Enforcement Department as part of broader plan to develop a rule-based approach to deal with breaches of law, rules and directions and to make the enforcement process stringent and consistent. As the financial health of banks had deteriorated over the last few years, the RBI has revised norms for prompt corrective action and promptly imposed them on some public sector lenders. The new framework encourages banks to eschew certain riskier activities and focus on conserving capital so that their balance sheets can become stronger. While industry estimates peg overall NPAs at over Rs 10 trillion, the RBI has said the stressed assets (gross NPAs plus restructured standard advances) remained elevated at 12.1 per cent of gross advances at end-March 2018. The RBI has also introduced measures to make banking easier for public, including for senior citizens and differently-abled persons. It has launched an aggressive awareness campaign on banking regulations and against frauds and introduced a structured communication channel called 'Mint Street Memo'. It got global praise for its communication activities from the bank for International Settlements.